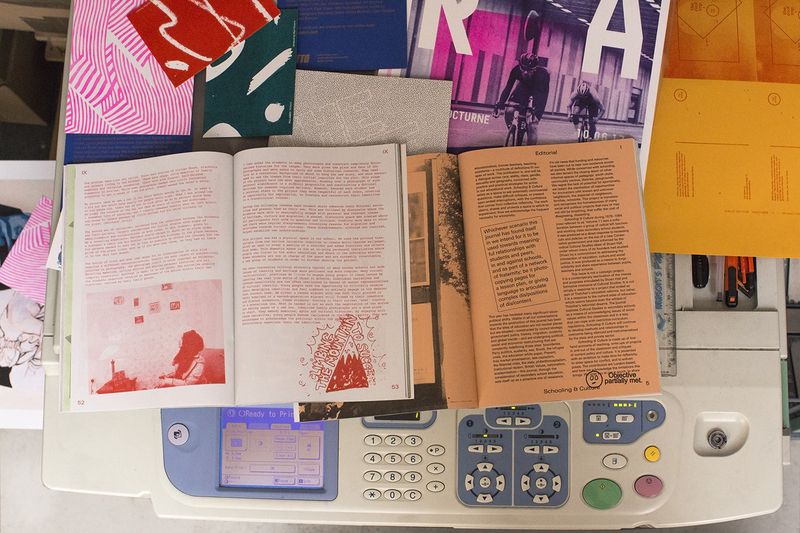 Contact sam@calverts.coop to find out more about Risograph printing. 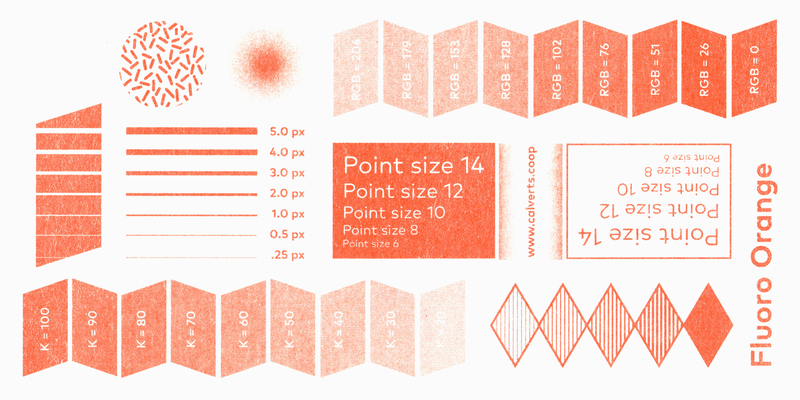 A Risograph is a stencil duplicator, and Riso printing uses soy-based ink. 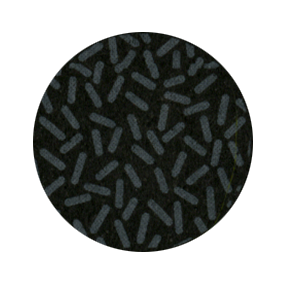 In a similar way to screen printing, a print image is burned onto a master sheet, which is then wrapped round a print drum. Ink is pushed through this stencil onto the paper. The process is repeated for each colour. Riso inks are semi transparent, which means colours can be overlaid to produce even more variation. The largest paper size for Risograph is A3 – 297 x 420mm. 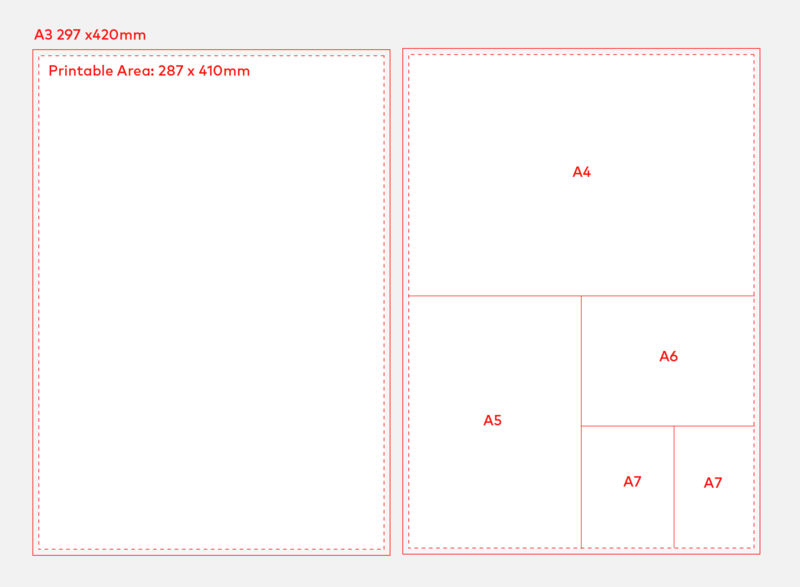 There is a required 5mm border, meaning the printable area is 287 x 410mm. Please be aware that if you require a full bleed ‘A3’ print your artwork should be set up as 281 x 406mm with a 3mm bleed. Type should be set up in RGB black and be outlined. Avoid supplying type from photoshop as this will pixilate. 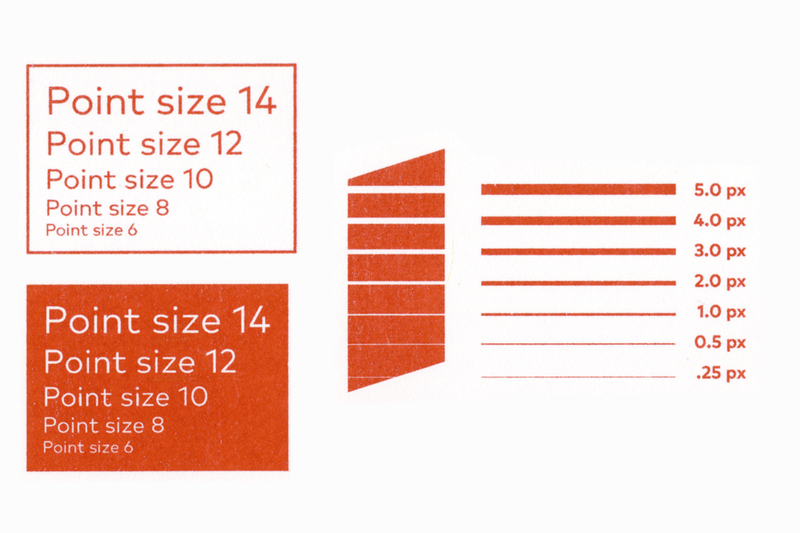 For legibility it is best to keep fonts above 9pt, but the absolute smallest we suggest is 6pt. Reversed out text will suffer distortion the smaller it appears. 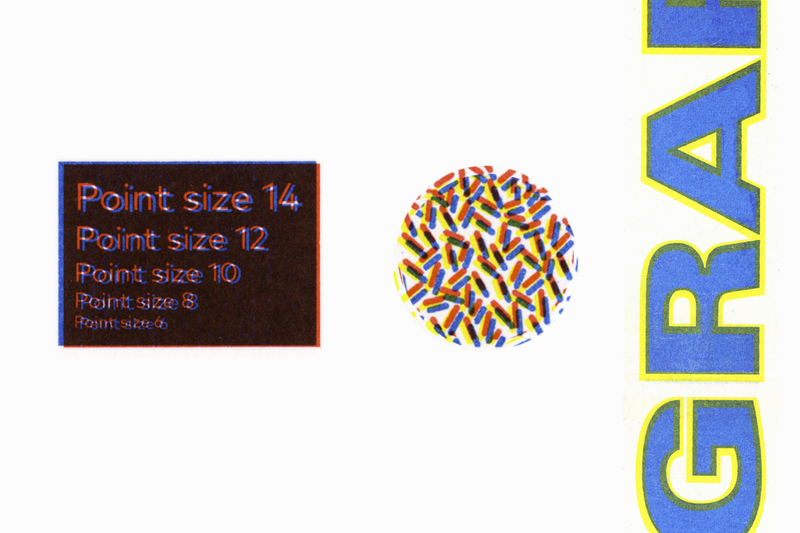 One of the most exciting elements of Risograph printing is overlaying colours. However, it is best to avoid large block colours or overlaying many colours in one area, this prevents the ink from drying properly. 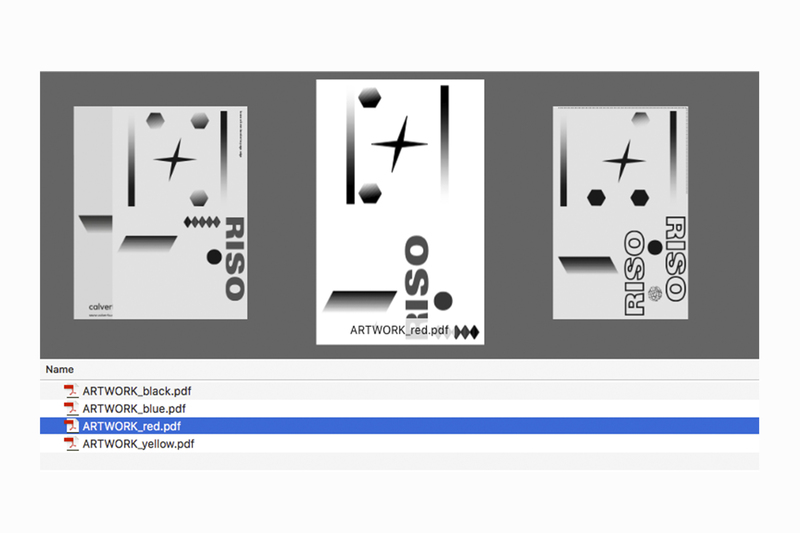 Please supply your artwork files greyscale at 300dpi as PDF. Make sure files are clearly labelled with the colour you intend for that layer. It is advisable to also provide a full colour JPG for us to use as a reference. 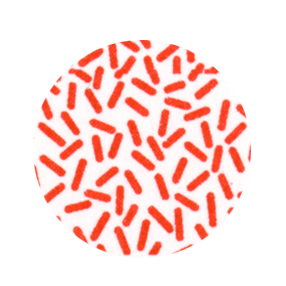 Risograph inks are soy-based and come in their own unique colour range. The swatches above show the various options we offer. Printing one colour on top of another creates beautiful overlays. The registration on Risograph is not always 100% accurate, you will expect to see some misregistration when overlaying colours. The more colours, the more chance of misregistration. You can add ‘trapping’ when filling one colour inside another to avoid this. Trapping involves creating overlaps (spreads) or underlaps (chokes) of objects during the print production process. 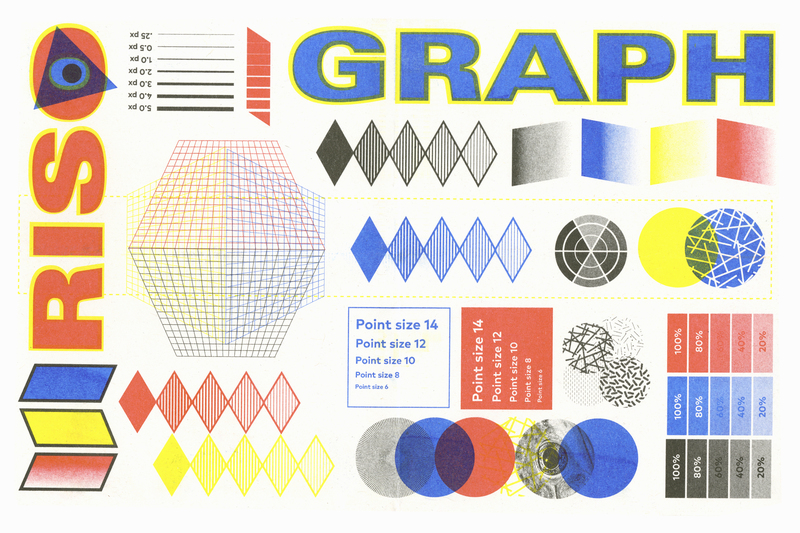 Risograph printing is often used to make art prints. It is also used for book and pamphlet printing, postcards, flyers, invitations and business cards. Please read the size guidelines in the ‘Print size’ section above. 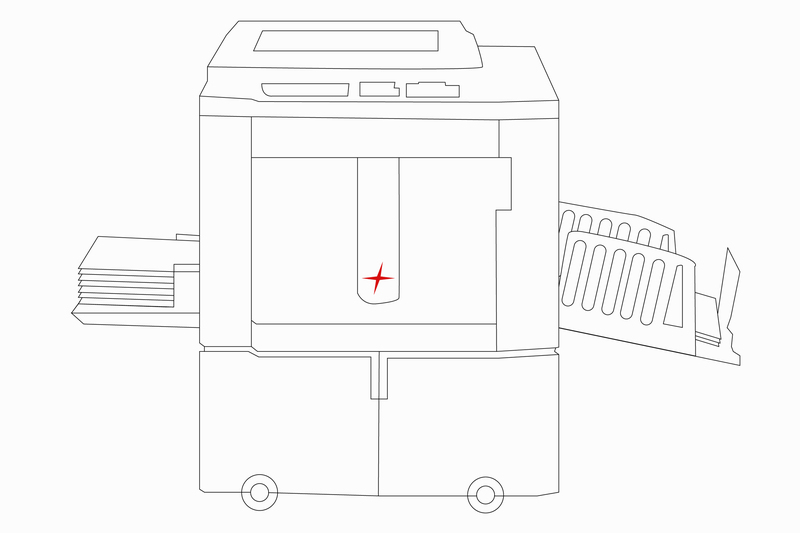 Riso printing is only suitable for uncoated papers, up to about 300gsm. Our ‘house’ printing paper for Riso is Munken Lynx, a high quality Scandinavian sheet that comes in smooth or rough qualities, and weights starting at 90gsm.